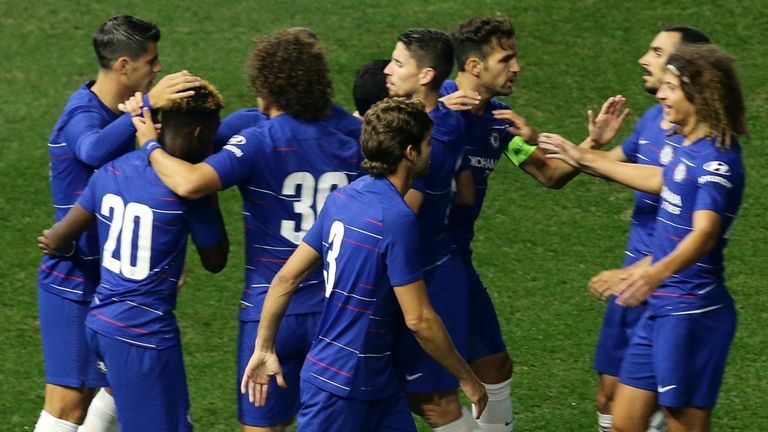 Maurizio Sarri's first game in charge of Chelsea ended in victory as his new side beat Perth Glory 1-0 at the Optus Stadium on Monday. Pedro scored the only goal of the game with a well-taken early strike after good approach play by the lively Callum Hudson-Odoi. However, a raft of second-half changes by Sarri led to a disjointed match, although the Italian will still be delighted to have made a winning start to life as Chelsea's new head coach.